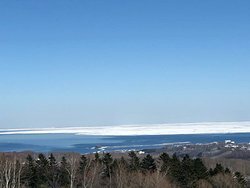 Good pano view of the various lakes on horizon, joining land and flowing out to sea. 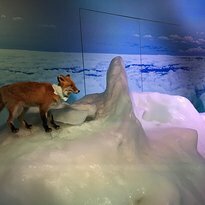 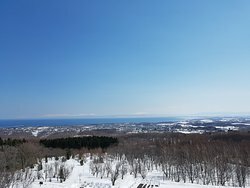 Note: this viewing platform is on the roof top of the Ryu-okhotsk (ice drift) museum. 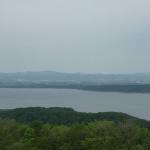 This is on the side of the Ryu-hyo museum. 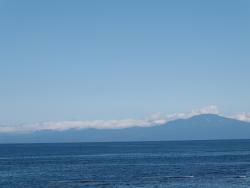 I would imaging before the museum was built this observatory must already be there, just in a different form. 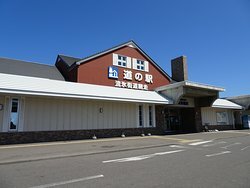 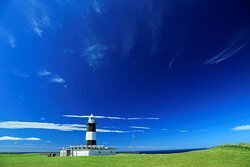 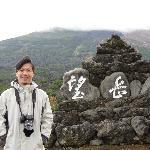 Good place to see the Tentozen scenery. 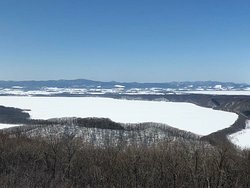 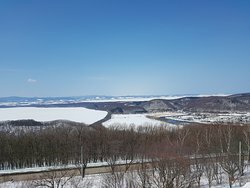 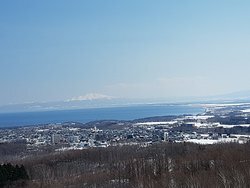 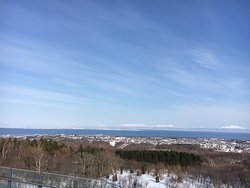 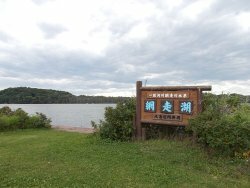 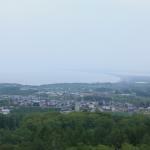 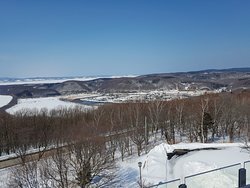 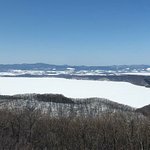 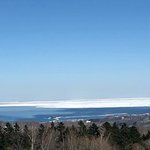 You can see Shiretoko and one of the lakes of Abashiri clearly. 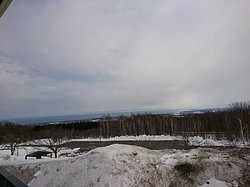 I spent a long time looking out over the beautiful landscape. 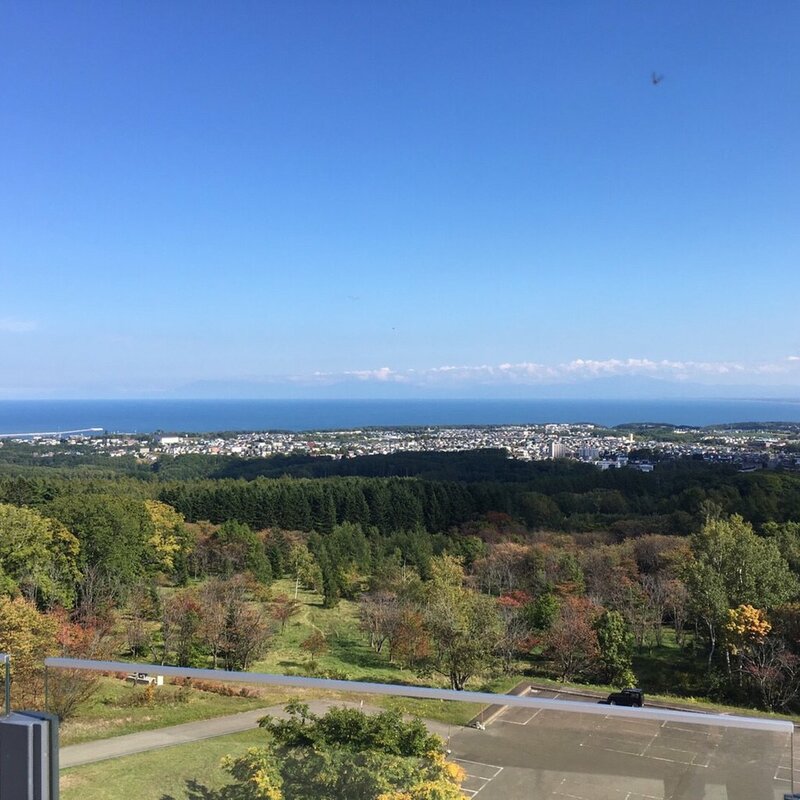 Get quick answers from Tentozan Viewing Platform staff and past visitors.